The first part of this class will be spent in regular ballet shoes and the teacher will be assessing what areas are in need of improvement for each student. That way the student can spend time focusing on their corrections so they are 100% ready to get into a pair of pointe shoes. Certain milestones and checkpoints must be met in order to be promoted to an actual pointe class. Some important exercises during pre-pointe usually include single leg calf rises, and exercises for improving the articulation of the front of the foot, to allow a smooth transition up onto, and lowering from pointe. After being assessed in flat ballet shoes, we will move them into pointe shoes and will spend most of the time at the barre working on strength and balance. Every students foot is different and not everyone will like the same brand of shoe. The teacher will be able to help and guide your child in the right direction as far as the right shoe for them. Ballet attire (leotard and tights in any color) will be expected as well as long hair pulled back and off the face. After a year of pre-pointe dancers will be assessed to see if they are able to move up to pointe. Pre-pointe is a prerequisite for pointe class. All students must have prior permission from the instructor before taking this class. *Due to the risk of injury, students must complete one full year of pre-pointe and a pointe evaluation is required before advancement to pointe class. Students must be 12 years of age with at least 6 years of ballet experience as a prerequisite for this class. This is a 30 minute class dedicated to teaching the fundamentals to students of appropriate age and technical ability. 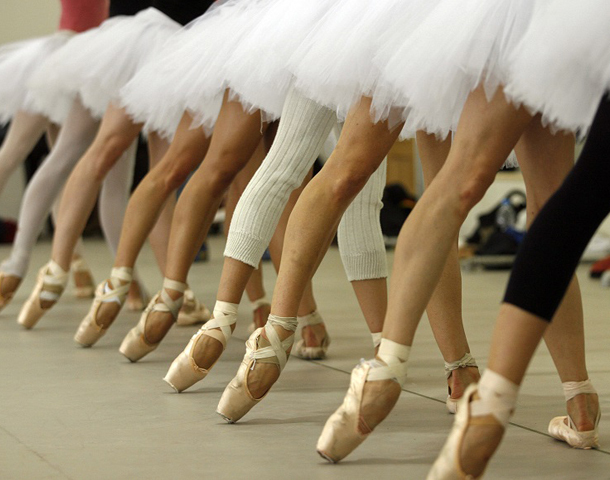 Pre-pointe helps to build muscular strength and flexibility to ultimately prepare you for the next step. Dancing on pointe is the act of standing on the tips of the toes while performing steps from ballet. This 50 minute class will require an advanced level amount of strength and skill. Pre-pointe is a prerequisite for pointe class. All students must have prior permission from the instructor before taking this class.